Gavin O’Shea (left) with club physio Ryan Odgen. Image courtesy of Kings Funerals. My visit to Hamlyn Park on Saturday 7 June was not about footy (or even scoreboards). It was about honouring the memory of a friend. It was a way of saying goodbye to an old school mate. 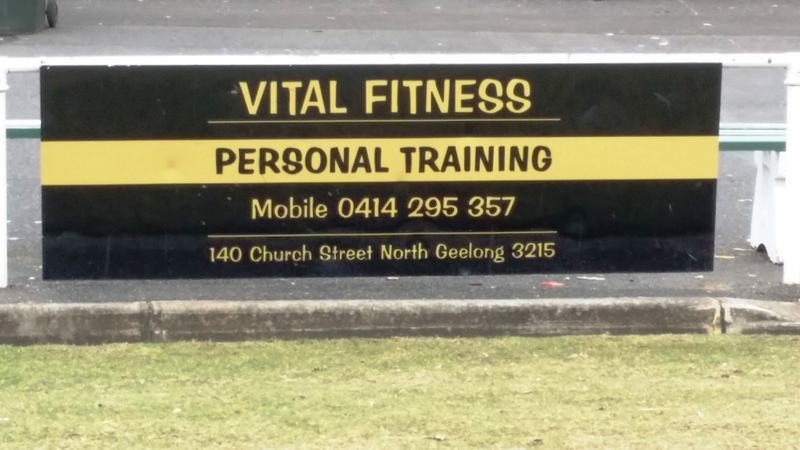 Gavin O’Shea, Bell Park’s fitness adviser for more than a decade, died in May, aged 56. Photos of Gavin below the club emblem. Gavin’s funeral, held at the club on a sunny Friday afternoon, was a moving occasion, featuring stories by Gavin’s colleagues from track and field (his first love) and Bell Park. The emerald Dragons formed a guard of honour as the hearse was driven away. 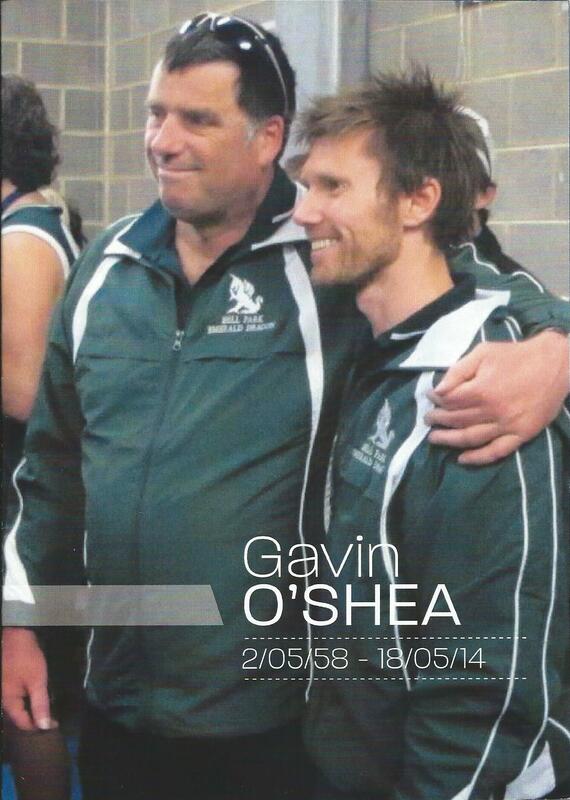 At Bell Park’s next home game, a week later against Newtown & Chilwell, a premiership flag was lowered to half-mast and Gavin’s chair and Bell Park shirt were placed by the coach’s bench. Unable to get to that game, I was keen to spend a few hours at the club and the place that meant so much to Gavin. Gavin’s fitness business was a popular spot for athletes and non-athletes. 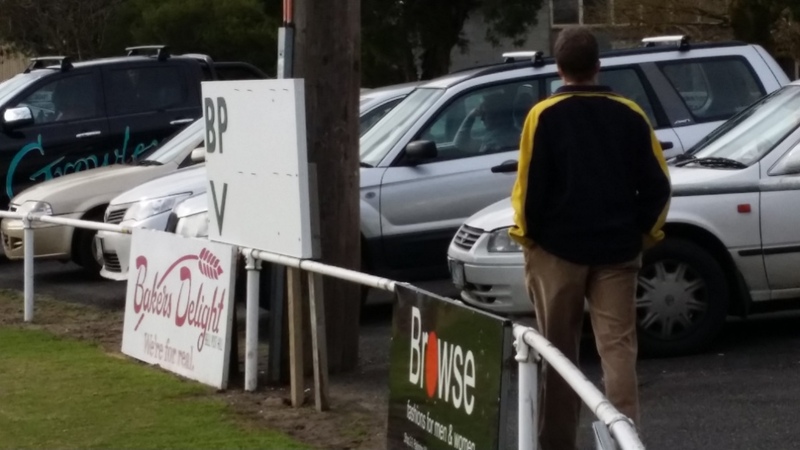 I arrived with my mate Robbo just before quarter-time of the reserves game against South Barwon. We walked around the ground a few times, chatted to a few of Gavin’s Bell Park friends, and occasionally watched the footy. Robbo and I hadn’t seen Gavin for many years, too many. Listening to stories about Gavin and being there at the ground gave us a sense of the man and of his place in the world. A gentle giant, gone too soon. Image courtesy of Kings Funerals. It was mere coincidence that Bell Park unveiled its bright new scoreboard the day I visited. And what a way to mark the occasion: a draw in the seniors after a shellacking in the seconds. The home team kicked five goals in the last quarter to lead by 10 points before the visitors steadied, kicking four nervous points and finally a score-levelling goal. No shortage of megapixel action for the scoreboard’s debut. 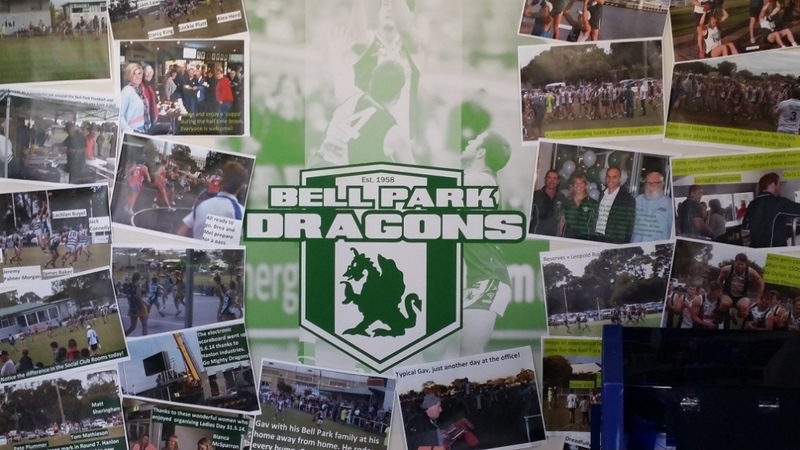 Photo sourced from Bell Park Dragons Facebook page. 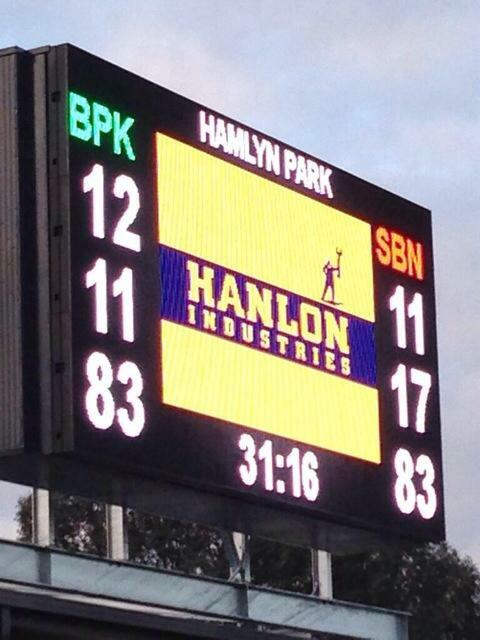 Hamlyn Park’s new scoreboard was partly prompted by the extension to the changerooms. The additions to the Alex Rizun Pavilion meant that supporters could no longer see the old manual scoreboard unless they craned their necks a fair bit, or walked all the way down to the boundary fence. Quarter-time and a young Dragon’s ready for a kick. A temporary solution was a small manual scoreboard on the Calvert St side of the ground. 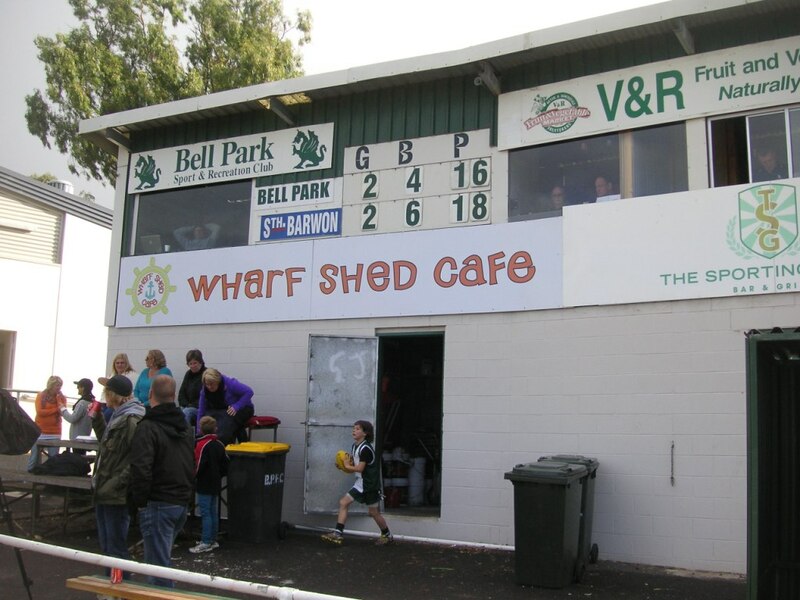 Bell Park Football Club, formed in 1958, plays in the Geelong Football League. Alumni include Carlton’s Fraser Murphy, Geelong’s Jimmy Bartel and Port Adelaide coach Ken Hinkley, who took the Dragons to the Promised Land in 2003. Hinkley also introduced Gavin O’Shea to the Dragons, having seen his skills when Gavin was fitness adviser at Geelong Football Club in the early 1990s.